Being a superhero is hard! It's not as easy as Jonas Shurmann thought it would be. Instead of being the coolest guy in school, his teacher accuses him of lying about his adventures. And the new girl in his class makes up a superhero that everyone likes way more than the Chicken-Boy of Clintonville and the Crime Cats. But everything changes when Jonas finds a mysterious ring. That's when he finally gets to experience what it's like to wield real power. The only problem is that he risks losing his friends, his family...and his very soul! Get ready to explore ancient history and deadly mysteries in the most epic "Crime Cats" adventure yet! 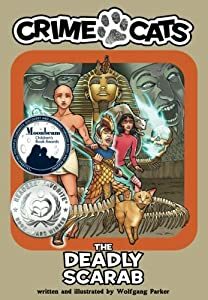 Skylar Robbins: The Mystery of Shadow Hills has been a #1 Best Seller in Children’s Detective ebooks, Children’s Fantasy & Supernatural Mystery ebooks, Children’s Sword & Sorcery Fantasy ebooks, and Children’s ebooks: Mystery & Detectives/Spies, and received the Reader's Favorite 5-star award. 5 stars: Spellbinding! Review by GemTones on November 15, 2014 Fans of Nancy Drew and Harry Potter alike will love this fast-paced blend of detective action, mystery, witchcraft, and magic. Dotty is being haunted by disturbing visions. To make matters worse, a strange illness is taking over Dotty’s new school, and her classmates are determined to hold her responsible. It's all change for Dotty, as Great Uncle Winchester decides it's high time she went to school. But the transition back into school life isn't easy: A mystery sleeping sickness seems to be claiming a new pupil almost daily. Dotty's classmates are convinced she has something to do with it, and Dotty isn’t entirely sure they’re wrong. Is there more to Dotty's dreams than meets the eye? And can a little bit of sweeps' magic save the day? 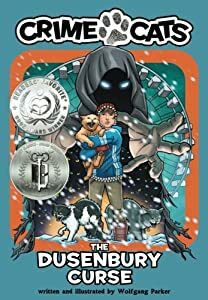 Buy DOTTY and the Dream Catchers today, and follow Dotty out of the Calendar House as she battles with new dangers and comes face to face with some old enemies, too. 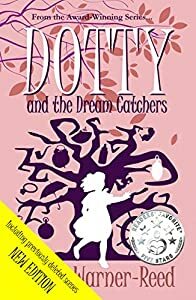 DOTTY and the Dream Catchers is the third book in the award-winning DOTTY children’s fantasy series, by #1 bestselling children's author, Emma Warner-Reed. Since the publication of first series book, DOTTY and the Calendar House Key, in 2015, the series has received significant acclaim, including Gold and Silver Literary Classics Awards, an exclusively five star rating on Amazon across the series and official Seals of Approval from Literary Classics and Readers' Favorite. Look out for Dotty’s fourth adventure, DOTTY and the Mermaid's Purse, coming 2019! Eleven-year-old Fairday Morrow had no clue that moving from Manhattan to the small town of Ashpot, Connecticut would lead to an unsolved mystery. Her parents’ dream of renovating a crumbling Victorian called the Begonia House into a bed and breakfast had seemed like treachery at the time, but Fairday found out that her new house kept secrets, and once inside its twisted front gates, anything was possible. When mysterious notes start showing up warning that a librarian is in trouble and a bookworm is eating words, Fairday thinks the Begonia House has more skeletons in its closets. She notices a passage in her favorite book has been changed, and she’s certain something is dreadfully wrong. What happens to stories when their words get eaten? The Detective Mystery Squad is ready to investigate! Fairday, Lizzy, and Marcus take off on a sticky trail and tumble into Nowhere. 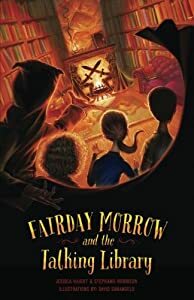 Like Alice in Wonderland, Fairday finds herself in a world where nothing makes sense and the lines of reality are blurred. The three sleuths discover amazing things about themselves as they unravel more secrets within the walls of the Begonia House. Follow along with Fairday and friends as they open the next case in the DMS files to unlock the Talking Library. Cats are vanishing all over the neighborhood, but Jonas Shurmann doesn't care. He thinks cats are spoiled brats who don't appreciate anything people do for them. Jonas has bigger problems in his life: the ridiculous-looking chicken costume he has to wear to his class Halloween party, working at the vet's office after school, and his math book getting thrown into the yard of a haunted house. Those are real problems! At least that's what Jonas thinks, until he discovers he can hear cats talk. 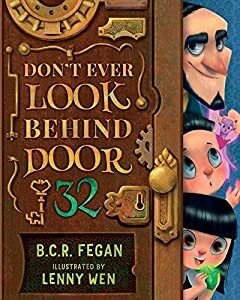 Through his newfound power, Jonas befriends two cat detectives, CatBob and Neil Higgins, and together the trio sets out on a pulse-pounding adventure that leads them straight to the door of a haunted mansion that holds the chilling truth behind the disappearances. ...and it's up to Jonas Shurmann and his feline partners, CatBob and Neil Higgins, to stop it. But the detectives aren't alone on the mysterious Phantom's trail. An army of enemies watches from the shadows as the heroes race to unravel the secret of a 100-year-old curse before Orville is ruined. 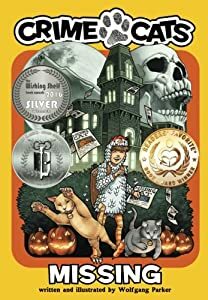 Mysteries abound as the Chicken-Boy of Clintonville and the Crime Cats return in the second installment of this spooky mystery series. Her grandmother doesn't like to talk about Stella's parents, even when she asks. But now that she's in sixth grade, Stella needs answers. 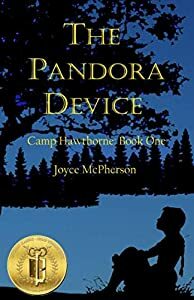 A rusty box provides a clue to the place her parents met--Camp Hawthorne--and Stella is determined to go. The camp's secret draws her into extraordinary possibilities she never knew existed. And despite warnings to leave the past alone, she uncovers a mystery linked to her parents. Now she must decide how much she will risk to find the truth. Can Kelcie solve the island's TWO mysteries in time? Ten-year-old Kelcie Oglethorpe's fisherman father disappeared at sea years ago. Since then, Kelcie has befriended Bald Rock Island's beloved Mr. Bartleby, a kindly man devoted to the village and its children. 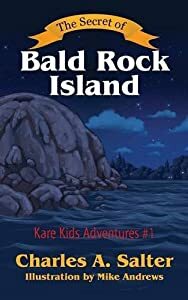 He often warns of a mysterious creature he once saw on the island's bald dome which towers a hundred feet above the sea, yet is hollow inside and connected to sea life by underground channels. Kelcie decides to help Mr. Bartleby solve the island's two enduring mysteries-what happened to her father, and what the sea creature might be. She learns that Mr. Bartleby was her father's lifelong best friend. During that terrible storm off the coast of Maine, Mr. Bartleby risked his own life to do everything possible to save Kelcie's dad, but no sign was ever found. Kelcie criss-crosses the island in search of clues and thinks she knows where she can find the ultimate answers. She resolves to explore the forbidden area of the island, and as she puts the final pieces of the puzzle together, a new storm arises. Can she solve the mysteries and return to safety before the new storm claims her as the previous one did her father? And what will she do when she finally confronts the mysterious creature face to face? 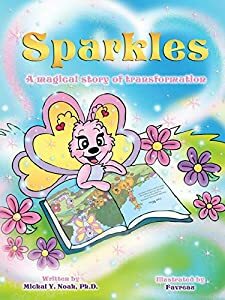 Sparkles is a tale with a powerful message: we are all born for greatness, and if we learn to follow our intuition, we can grow and live life to our full potential. Through this enchanting story of a butterfly who listens to her inner voice and does not ignore the whisperings of her heart, the author has explained the power of transformation and self-belief. From a caterpillar crawling on the ground to sprouting beautiful wings and flying, it s a magical journey about conquering hesitation, self-doubt, wishful thinking, and fear of the unknown to achieve greatness, joy, and the realization of dreams. We are all like Sparkles. There must be more to us than what we see, and there must be more that we can be.